A stunning example of the way that the harmony trio had developed in late 60s Jamaica – a short but fantastic evolution of a mode that began in American soul, yet quickly expanded into something else entirely during the rocksteady years – to the point where it became the global calling card of a group like The Wailers! 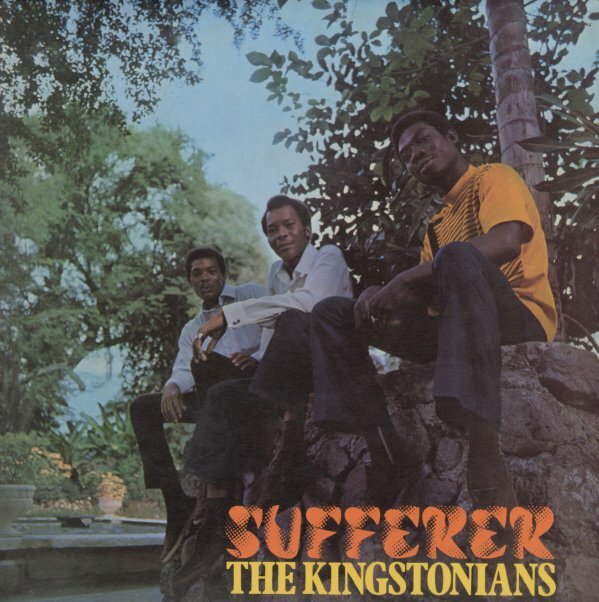 Yet despite the big fame of that group, there were many others working in Kingston who were equally wonderful – case in point is The Kingstonians, a wonderful trio with a very rich vibe – honed to perfection here with the production talents of Derrick Harriott, who makes the record as powerful a statement as any coming from the scene at the start of the 70s. This is the kind of music that should have been passed upwards along the same chain as Bob Marley, but which sadly never fully got its due – which makes it ripe for rediscovery, on titles that include "Hold Down", "Singer Man", "Sufferer", "Nice Nice", "Come We Go Moonwalk", "The Clip", "Rumble Rumble", and "Winey Winey". © 1996-2019, Dusty Groove, Inc.